This book outlines the principle and display methods of stereopsis, the biological effects of image viewing, and the effects on the human body, as well as its clinical significance. The authors also present the latest research findings and future prospects for stereopsis methods. In the field of medical care, the technique is useful for the 3-dimensional identification of lesions and affected regions; however, stereoscopic images can cause unpleasant symptoms including motion sickness, headache, and visual fatigue. With increasing opportunities for using the stereoscopic viewing technique in various other fields outside medicine, it is important to resolve the underlying issues of stereoscopic viewing and improve the diagnostic accuracy, safety of surgery and reduce the stress for physicians. 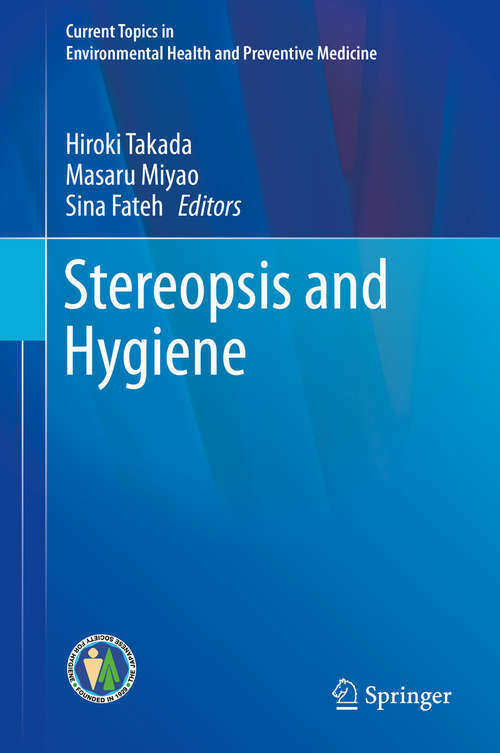 Written by pioneering authors, Cutting Edge in Information Displays and Hygiene is a valuable resource for both new and established researchers and students seeking comprehensive information on stereoscopic imaging methods as well as professionals working in environmental/occupational health and health promotion.